St. Luke’s is an inclusive, historic parish in downtown Scranton with a rich history of musical excellence. We understand the importance of music as an integral part of our liturgy and worship. We value our affiliations with numerous musical and performing art organizations in Scranton including, the Lyric Consort, Arcadia Chorale, and the Choral Society of Northeastern Pennsylvania. The pipe organ in St. Luke’s is a 1964, 24 rank, 3-manual, M. P. Möller instrument (Op. 9916). The music program at St. Luke’s Church encompasses the many great singing traditions of the Anglican Church, from the simplistic elegance of the Plainsong Psalter to the sublime complexity of the polyphonic Choral Mass. Anthems are integrated thematically within the Eucharist and are sung by St. Luke’s professional quartet. The quartet is comprised of Lauren Cuccia, Soprano, Carol Curtis McMullen, Alto, Max Roache, Tenor, and Francis Carroll McMullen, Baritone. The quartet dedicates themselves to the discipline of historically informed performance practice of polyphonic music. As St. Luke’s congregation continues to grow, we hope to further develop our Music Ministry. Maria Zengion, St. Luke’s Organist and Choirmaster returned to St. Luke’s in Advent 2016. Maria has served as organist at numerous churches including St. Peter’s Cathedral, Scranton, and Grace Episcopal Church, Honesdale. She holds a Bachelor of Music degree from Westminster Choir College, Princeton, NJ, specializing in Organ Performance. Upon admission to Westminster Choir College she received the Alexander McCurdy Award for excellence. She also holds a Master of Music Degree in Organ Performance from The New England Conservatory of Music, Boston, MA. Both of her degrees focus on historical performance practice. Additionally, while at Westminster Choir College, Maria studied organ building. She has held many journeyman apprenticeships from Gloucester, MA to Tacoma, WA. Maria has apprenticed with harpsichord builder Willard Martin in Bethlehem, PA. 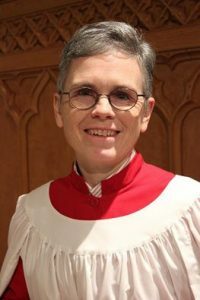 Since 2000, she has served as the Organ Curator for The Bethlehem Bach Choir. Organ Dedication Concert: Friday, January 5, 2018 at 7pm. On Friday, January 5, 2018, St. Luke’s celebrated a special event of dedication for our newly rebuilt and tonally enhanced pipe organ. The improvements to our Möller organ by the Reuter Organ company were made possible through the generous donation of Dr. Paul Bender in loving memory of his parents, Luther and Rose. The evening’s performance was given by Dr. Richard L. Elliott, Principal Organist of the Mormon Tabernacle Choir. The concert included include works by Manz, J.S. Bach, Handel, Vierne, Franck, Weaver, Reger, as well as two arrangements by Dr. Elliott. Richard Elliott is the Principal Organist for the Mormon Tabernacle Choir. For the past 26 years he has accompanied the choir on its weekly radio and TV broadcast, “Music and the Spoken Word,” as well as on dozens of CDs and DVDs, and in the choir’s annual PBS Christmas special. 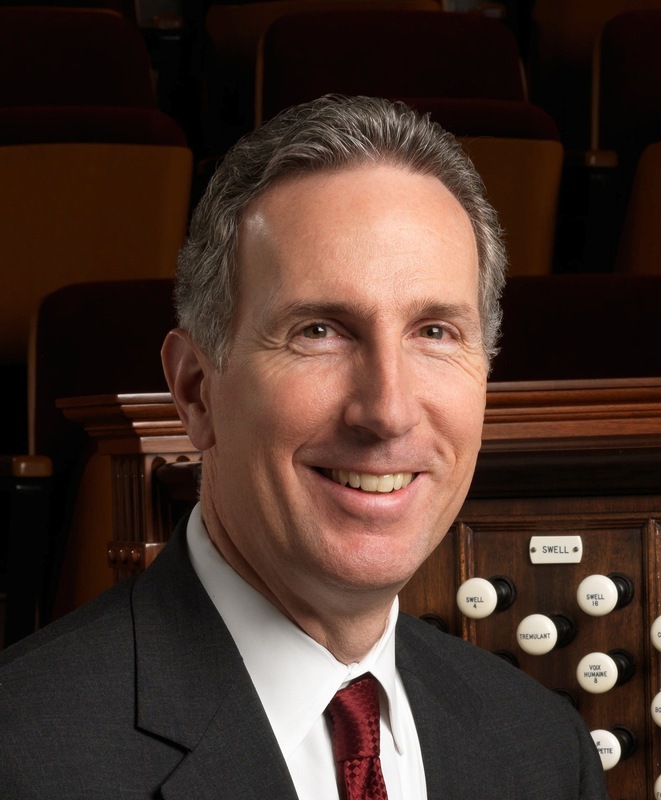 He also has a busy solo career, having given thousands of organ concerts on Temple Square and all over North America and Europe, and having performed at national and regional conventions of the American Guild of Organists. He is featured on seven organ CDs and is also a published composer and arranger of music for organ, choir, and orchestra. Before becoming a Tabernacle organist in 1991, Dr. Elliott was an assistant professor of organ at Brigham Young University, and for several years he was an assistant organist at the John Wanamaker Department Store (now Macy’s) in Philadelphia, home to the world’s largest functioning pipe organ. A native of Baltimore, Maryland, he received his early musical training at the Peabody Conservatory. He holds a Bachelor of Music degree in organ from the Curtis Institute of Music in Philadelphia, and master’s and doctorate degrees from the Eastman School of Music in Rochester, New York. Below are links to news coverage of our re-dedication event.